EAT: Vanilla Cranberry Shortbread Bars. / papillon. 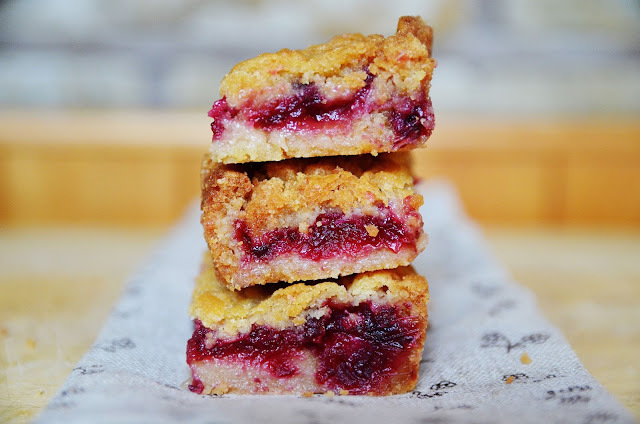 EAT: Vanilla Cranberry Shortbread Bars. 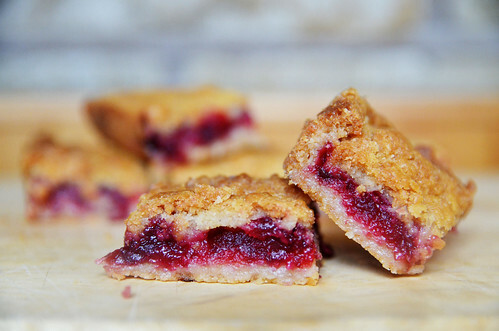 Recipe: Vanilla Cranberry Shortbread Bars. So, I used to bake all the time. Like, all the time. I tailored baked goods to specific occasions, people and moods. I used to plan out recipes and flavour combinations constantly. And yeah, I miss it, because in the last two weeks I stayed at my mum’s house for Christmas, I did more baking than I have in the last two months living in my own flat in London (disclaimer: my flat is the size of a shoebox and not ideally suited to, say, home patisserie). I miss experimenting with techniques and substitutions, but I especially miss it as a way of showing people I loved them, and a way of making people happy. 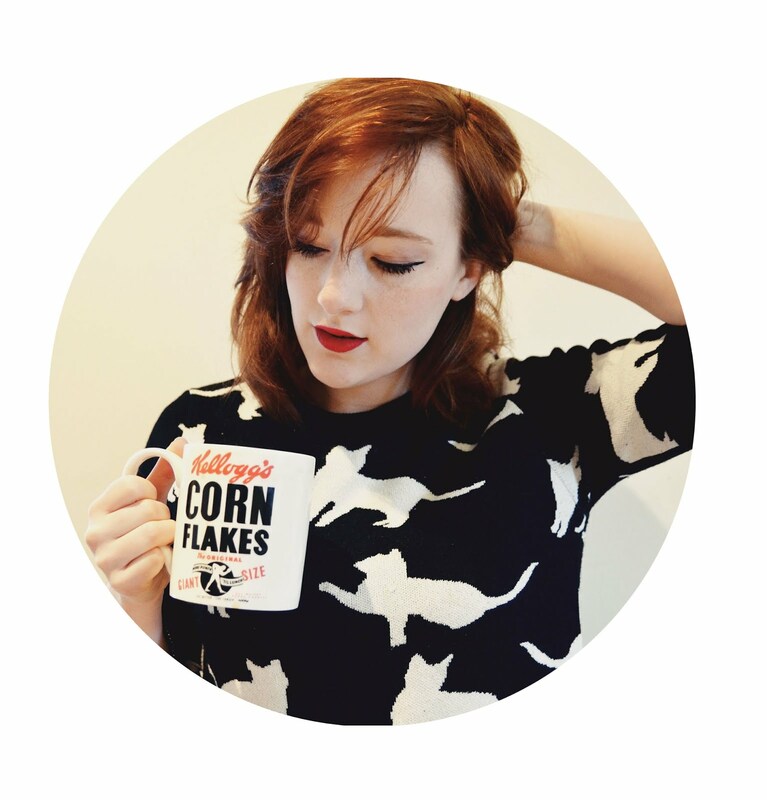 I miss the food blogging community I used to be part of. I miss the way people smiled so big when you brought them a spectacular, handmade-and-decorated birthday cake. Thing is, what you also need to understand is that I used to be incredibly unhappy. Just, you know, not very well. And it took a few years for people to pick up on that - for me to pick up on that - and then longer for me to get help, and all that time I was trying so hard to please people because I hated myself so much. And all I could think about was food, because the rest of the time I barely allowed myself to eat at all. I don’t get the urge to bake a fraction as much as I used to anymore, and that’s a good thing. Because I have so much else more in my life, and I have work and friends and other things happening all the time, all around me. I mean, it was an obsession, but it was also a comfort. So, now I get to knead dough between my knuckles and dredge bright red cranberries in sugar and grate shortbread into pillows rather than press it against a base (yeah, it does totally transform the texture - lighter, almost crispier on top. My mum also swore down that there was real butter in these; whether this was another result, I don’t know) - and all that stuff is for me, now. So, that’s pretty important. I mean, you lose some stuff. You’re always gonna lose stuff. But sometimes it’s worth it. Cream the butter/margarine, sugar and vanilla in a mixer fitted with a paddle attachment (or using a hand mixer) until soft and fluffy. Combine the flour, baking powder and salt together, then add to the butter mixture until just incorporated and the dough starts to come together. Turn the dough out onto a floured work surface and form into two balls. Wrap each ball in plastic wrap and freeze at least 2 hours or overnight. 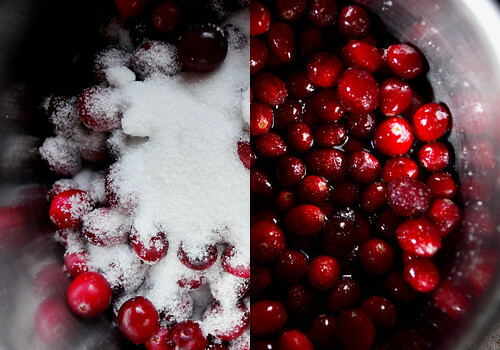 Cranberry Filling: In a medium sized saucepan, place the cranberries, sugar and water. Then, over medium-high heat, cook the ingredients until boiling. Continue to boil the filling until it becomes thick and syrupy, about 5 minutes. Remove from heat and let cool while you prepare the shortbread. Remove one ball of dough from the freezer and coarsely grate it by hand or with the grating disk in a food processor into the bottom of a 8x8" baking pan. Dollop spoonfuls of the cranberry jam over the surface of it as evenly as possible. 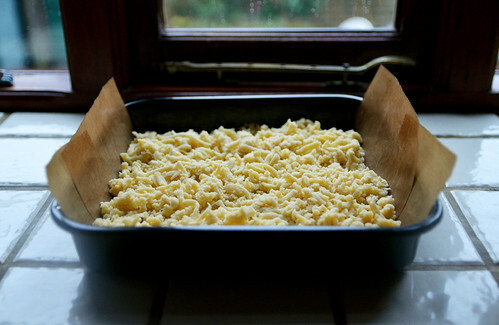 Remove the remaining dough from the freezer and coarsely grate that over the top. Bake until lightly golden brown and the center no longer wiggles, about 40 minutes. As soon as the shortbread comes out of the oven, dust with icing sugar. Cool on a wire rack before cutting into squares.